SIA’s Nostalgic for the Present tour delivered three stadium shows: Sydney, Melbourne and Auckland. 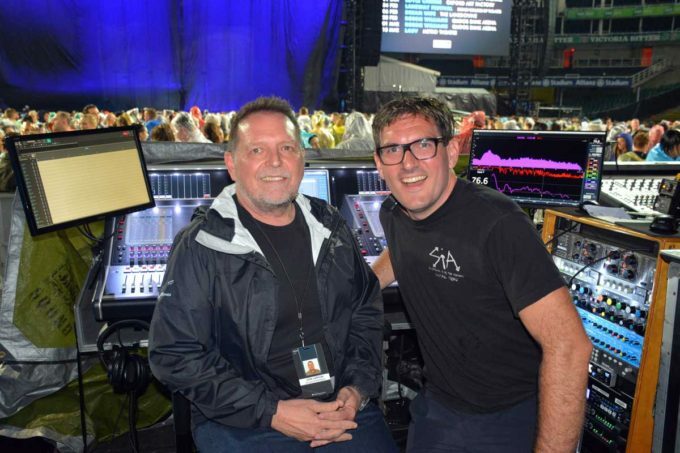 FOH engineer Jon Lemon has known SIA for most of her life and has been doing gigs for her on and off since 2002. When he wasn’t out on tour with the big name acts he works for, he would do the clubs and small theatres with her. 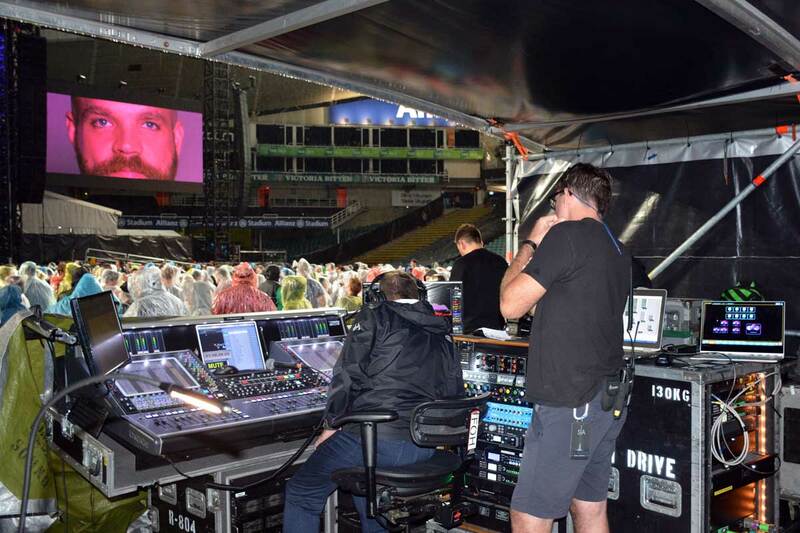 Today SIA is an international music star and Jon is still there at FOH, albeit mixing in a stadium rather than a club. “It’s a very organized show,” said Jon. “The biggest challenge was putting it all together in the first place as it’s mostly playback in terms of the music. The brief I had was to make it feel like it was live but also sound like the record with SIA then singing live on top of it. 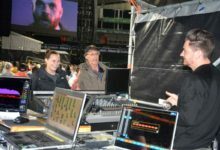 Jon has around fifty inputs on his DiGiCo SD5, all split up and presented like it’s a live band playing – with more consistency than usual and less egos! That system tech is Vic Wagner who, alongside JPJ Audio’s Mats Frankl, ensured the L-Acoustics K1 / K2 PA was tuned, timed and ready for action. Multiple delay towers and rings were required to cover the stadium as much as possible, delivering maximum SPL possible without upsetting the EPA people. 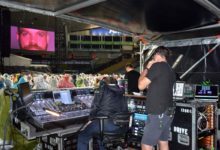 Jon reports that he had complete faith in his support team of Mats Frankl, JPJ Audio’s Bob Daniels and Vic Wagner commenting that the entire JPJ crew impressed him. SIA has always used a trusty Shure SM58 microphone and according to Jon, she always will. 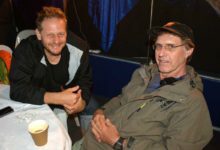 Jon remarked that he had a great JPJ crew on the tour and, seeing as he worked for JPJ when it was Jands Production Services many moons ago and he knows so many staff, he sees working with JPJ as a family event …..in fact he wouldn’t even consider using anyone else in Australia. Jon will be touring Australia with Roger Waters early next year and again he will reunite with JPJ Audio.